Joseph C. Bondi concentrates his law practice in the areas of business representation, real estate, and trusts and estates. Joe maintains a close, hands-on role with the clients and is adept at explaining difficult concepts in easily understood terms. He brings over 40 years of experience to his role at Bondi Iovino & Fusco. He has represented businesses in a variety of industries, including food service, wholesale and retail liquor, auto repair and servicing, import and export, accountancy, and health care. His corporate work includes entity formation (incorporation, LLC formation, partnership agreements), dissolution, succession planning, and general business counsel. In the real estate arena, Joe handles commercial and residential transactions, including sales, purchases, and leases, and assists clients with more complex transactions such as short sales, 1031 exchanges, and complex financing. Joe also has a broad background in estate work, and works with clients to develop estate plans, including preparation of wills, health care proxies, and powers of attorney. He also advises on elder law issues such as planning for long-term care, drafting trusts, and Medicaid planning. 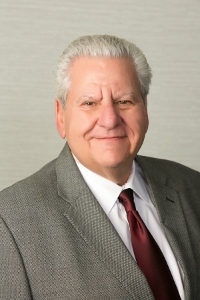 Joe’s work extends to estate administration – filing for probate and administration in local Surrogate’s Courts, and assisting families in collecting estate assets and distributing to heirs. Joe is a member of the New York State and Nassau County Bar Associations. He is admitted to practice in the State Courts of New York as well as the United States Supreme Court. Joe founded the firm following his graduation from St. John's University School of Law in 1972. He maintains a full-time law practice and remains of counsel to Bondi Iovino & Fusco. Joe resides in Manhattan and the North Fork of Long Island with his wife, Linda. They have three sons and their favorite "child" Baci, a havanese dog. Joe enjoys traveling abroad and playing golf.